Used Selmer Cigar Cutter alto saxophone from early 1930s. Vintage horn with about 85% original lacquer. Significant patina throughout the horn. 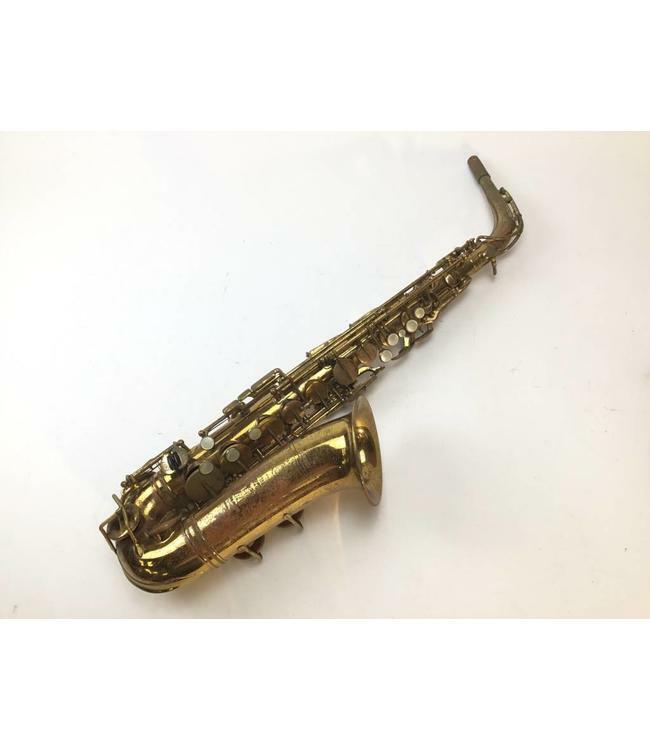 This sax is being sold AS IS and will need a complete repad in order to be played. Will be a nice addition to any saxophone players collection. Original case is included.